HUDSONVILLE, Mich. (WILX) -- If Governor Gretchen Whitmer's proposed 45-cent gas tax increased is approved, no other state would have a higher gas tax than Michigan. According to GasBuddy.com, the average driver would pay an extra $270 dollars per vehicle per year. But for some businesses like trucking companies, the added cost each year would be in the hundreds of thousands of dollars. ALTL Incorporated in West Michigan says diesel fuel is one of their biggest expenses. The company hauls products mostly from Michigan to the East Coast. About a third of its fueling is done in Michigan. ALTL's president says he would consider making changes if the proposal is approved. "(We're) always going to Toledo, Perrysburg, anyway. So I could just switch my primary fueling location to that location and stop fueling in Michigan altogether," says ALTL President Claren Lau. Governor Whitmer's proposal would generate an additional $2 billion in revenue to fix Michigan's roads. Lau says it would cost his company about $25,000 more per month and $300,000 more per year in fuel expenses. A truck driver is facing criminal charges after authorities allegedly found about 40 pounds of methamphetamine in his truck during a traffic stop in Eloy, Arizona late last month. An Arizona Department of Public Safety officer stopped the commercial vehicle driven by Juan Felix-Sotelo Feb. 21 for speeding through a construction zone on Interstate 10. The driver exited at Sunland Gin Road and stopped at the Petro Truck Stop. The officer was given consent to search the truck and found an ice chest containing 39 bundles of crystal meth. Juan Felix-Sotelo, 30, was charged with possessing and transporting dangerous drugs, a Class 2 felony. 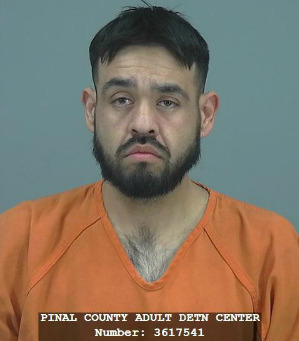 He and a passenger, Raymundo Felix, were arrested and taken to the Pinal County jail. Eloy is located between Phoenix and Tucson. TORONTO, Ont. – Buying an electric truck involves more than adding batteries and electric motors to a powertrain. The vehicles will also require access to charging infrastructure that is just beginning to emerge. The North American Council for Freight Efficiency (NACFE) has come forward with a report outlining exactly what to consider when planning such a charging network – basing the findings on interviews with electric truck builders, fleets, engineering organizations, charging equipment suppliers, and various groups exploring charging standards. Amping Up: Charging Infrastructure for Electric Trucks covers infrastructure basics ranging from hardware and software to maintenance, as well as charging speeds, charger communications, and charging locations. Fleets will largely be responsible for their own charging strategies in the near term. “Electric truck charging, for the foreseeable future is going to be private – it’s going to be at the depot or what we call return-to-base charging,” says the Rocky Mountain Institute’s Jessie Lund, the report’s lead author. Wider charging networks are not expected to be a reality for the foreseeable future. That requires some careful planning alongside local utility providers. Smart charging software – which helps different chargers to communicate with one another – will help determine how much power a truck is needed and when it will be charged. That can help to minimize infrastructure and operating costs alike, and minimize the demand charges that could be applied, she says. Lund also warns that fleets tend to over-emphasize the hardware needed for charging stations, but under-emphasize related repairs, maintenance and software. There doesn’t seem to be much concern about whether the electrical grid could support a growing number of electric vehicles, however. Some capacity already exists today, and other energy-efficient solutions are expected to create additional room. “We wouldn’t need a ton of additional generation,” she says. Some utility providers are even actively promoting the use of electric vehicles. In the U.S., South California Edison has introduced a new program to suspend demand charges for five years. In the future, such price premiums could be offset by fleets that generate and store their own energy on site, Lund says. Some academics are even looking at the potential of using parked electric vehicles as the storage systems for renewable energy. This is NACFE’s third guidance report on emerging and future technologies, and it is available at www.nacfe.org. MAUMEE, Ohio – Dana announced today that it has completed the acquisition of the Drive Systems segment of the Oerlikon Group, including the Graziano and Fairfield brands. and adding four research and development facilities to Dana’s extensive network of technology centers, as well as 12 facilities to the company’s global manufacturing footprint. Tax time is always a headache for drivers and trucking companies, but this tax season they are facing the most far-reaching changes in tax law since the 1980s, thanks to the December 2017 tax code legislation. The changes are meant to cut taxes for most taxpayers, but the maze of new regulations is bewildering many, even veteran owner-operator truck drivers and carriers. “They are confused, definitely because this is a sweeping change, more than 1,000 pages” of new federal tax code, said Todd Amen, chief executive of American Truck Business Services of Lakewood, Colo. ATBS recently published a free e-book on the effects of tax reform on owner-operators. Did you lose the per diem allowance? Per diem covers part of the cost for meals and incidentals a driver purchases while spending the night away from home on business. Tax reform eliminated per diem for employee truck drivers – those who get an annual W2 wage statement from their employers. Amen estimated the loss of per diem could amount to $12,000 to $15,000 a year for a driver before accounting for tax reform’s lower tax brackets. Self-employed trucker drivers, or owner-operators, still qualify for the per diem deduction. These drivers receive an annual Form 1099 from their customer companies showing how much they were paid during the year. Owner-operators can still deduct 80 percent of the per diem rate, which is set by the Internal Revenue Service. The current rate is $66 per day. Questions about per diem are “by far” the most common from trucking clients, said Troy D. Hogan, a director in the Transportation Services Group at Katz, Sapper and Miller of Indianapolis. More trucking companies are setting up a company-sponsored per diem plan, often as a competitive tool, he said. That allows a company to pay its drivers per diem, often on a cents-per-mile basis. Where do you fall in the new lower tax brackets and the higher standardized deduction limits? There are still seven tax brackets for individual taxpayers. But the tax rates for all but the bottom bracket are lower. For example, for a married taxpayer filing jointly, taxable income of more than $153,100 but not more than $233,350 will be taxed at a 24 percent rate, down from 28 percent before tax reform. Meanwhile, most truckers will no longer need to worry about listing itemized deductions on a Schedule A. That’s because tax reform roughly doubled the standard deduction. For married taxpayers filing jointly it jumped to $24,000 from $12,700 pre-reform. Before tax reform, an estimated 30 percent of truckers used itemized deductions, according to ATBS. Post reform, only about 8 percent will qualify, said the company. The corporate tax rate, paid by businesses organized as C-corporations, also fell. But most trucking businesses are not organized as C-corporations, according to industry experts. Trucking businesses are more often organized as sole proprietorships, partnerships or S-corporations, which pay at the individual income tax rate because the business income flows through to the individual owners. A limited liability company is not a recognized taxable entity by the IRS. Instead, it treats an LLC with at least two members as a partnership for tax purposes. Single-member LLCs are taxed as sole proprietorships. Do you qualify for the new business income deduction? This new deduction lets taxpayers write off 20 percent of their business income, subject to IRS rules. Qualified business income includes the business’s regular income, less any deductions and losses. Employee wages and capital gains are excluded. Married, filing jointly? Then qualified taxable business income must be $315,000 or less to take the full 20 percent tax deduction. For all other taxpayers, qualified taxable business income must be $157,500 or less to qualify for the deduction with no restrictions. Businesses organized as C-corporations don’t qualify for this deduction. They already benefit from tax reform’s new, lower corporate tax rates. But S-corporations, limited liability companies and partnerships do. As mentioned above, these types of businesses pass their profits through to their owners, where the income is taxed at an individual rate. Can you use the generous new bonus depreciation rule? Starting with the 2018 tax year, a business can deduct 100 percent of a commercial truck or other business equipment purchase as a bonus depreciation. A depreciation is a type of deduction. Before tax reform, the deduction was limited to 50 percent of the price. One big change is that used equipment purchases now qualify. This does not last indefinitely. The write-off drops to 80 percent of the purchase price in five years. It continues to decline until it hits zero at the end of 2026. Did your business lose money in 2018? If so, new rules on how to deduct the losses apply. A business can now carry forward its net operating loss indefinitely. That means it can break up the amount of its loss and deduct it against future income tax owed for as many years as it wants until the amount is used up. Before tax reform, the loss carry- forward was limited to 20 years. Two other big changes to be aware of: The amount of the loss can no longer be carried back and used to offset income tax owed in prior years. And it can no longer be used to offset 100 percent of taxable business income. Tax reform limited the offset to 80 percent of taxable income. These changes have altered how trucking companies are timing purchases and other business decisions, Hogan said. The new tax rules have changed that strategy, he said. New rules apply to deducting what the IRS considers excessive business losses. Before tax reform, an individual could use an unlimited amount of the losses attributed to a business to offset income not related to the business, such as dividends. Under tax reform, that deduction is limited. For example, for a married taxpayer filing jointly, the deduction is capped at $500,000. Any losses over that are labelled excessive by the IRS and must be considered a net operating loss. And those, as noted above, are now limited when it comes to using them for offsetting income. Now just 80 percent of the net operating loss can be used. With tax filing deadlines approaching quickly, now is the time to answer these key questions about how tax reform will affect your trucking business. March 15 is the tax due date for businesses that are set up as C-corporations, S-corporations or limited liability partnerships. April 15 is tax day for other types of businesses, including single-member LLCs and sole proprietorships. WESTLAKE, Ohio — In 2018, TravelCenters of America LLC (TA) sold its standalone convenience store business and made the shift to concentrate on its core travel center business. Growing that network is a key goal for 2019. TA Express has been described by the retailer as a "smaller, more nimble concept to serve travelers, professional drivers and local motorists with top-quality diesel fuel, branded gas options, food offerings and convenience items." "Four of these [Coffee Cup] locations are already in operation in North and South Dakota and are expected to be rebranded TA Express within 12 months, with the first site expected to be converted by the end of April," Barry Richards, TA president and chief operating officer, said during the company's fourth-quarter and full-year 2018 earnings call on Feb. 26. There are also plans for two new-build locations over the next several years as part of the Heinz Inc. agreement, Richards added, which will bring the total to six. The first location to be rebranded is on Interstate 94/North Dakota Highway 3 in North Dakota. The remaining Coffee Cup Fuel Stops converting to TA Express are in Vermillion, Summit and Hot Springs, S.D. The two new-build TA Express travel centers are slated to be constructed in Rapid City and Sioux Falls, S.D. "Our pipeline of franchising inquiries is robust," Richards reported. "We're in serious and late-stage discussions and negotiations with a number of operators regarding possible franchising of an additional five travel centers, and have dozens of other sites in various stages of our franchising process." "We think independent travel center operators appreciate the brand strength associated with a TA or Petro location, as well as the trucking fleet fueling agreements they can leverage for increased sales volume," he added. TA is also exploring opportunities for opening standalone truck repair facilities and managing truck repair facilities for franchisees or other independent operators. CEO Andrew Rebholz said TA aims "to increase shareholder value through consistently improving our financial results and condition, continuing to present a superior customer service model to our traditional and non-traditional customers, and expanding our customer base, with our focus remaining on our core travel center business." There are four key elements in the company's value creation plan and chief among them is expanding its travel center network. "Over the last several years, while we were devoting time to growing and upgrading the standalone convenience store network, our larger competitors were growing their travel center footprints," Rebholz explained. "We want to provide a larger number of stopping points for customers this year. We expect to accomplish this through a combination of acquiring, franchising and/or building new sites and we can do this utilizing our TA, Petro and TA Express travel center brands." The company's goal is to add 20 travel centers to its network this year, and the chief executive expects franchising opportunities to drive this. Acquisitions remain on the table as well. "Though there is nothing yet far enough along to claim a win, we have a handful of potential targets under discussion for evaluation," Richards said. "As noted earlier, one of our goals for 2019 is to add 20 sites to our travel center network and I intend to see that it is done." TA is having "a number of good conversations" for some properties, Rebholz said, including the potential acquisition of two vacant properties for new builds. "In both cases, I think it would be a TA Express for that particular market. I find that exciting because I really want to build one of those new and show what it can do," he said. "There are a handful of other [property opportunities] we are kicking around; some further along than others. ... I think we have a good opportunity to acquire throughout the year three to five travel centers." However, Rebholz reiterated that he expects most of this year's growth to come from franchising, and he hopes to announce more signings soon. "There are literally dozens of other independent operators who seem very interested and, from our perspective, seem like the kinds of travel centers that we would be proud to have as part of our travel network," he said. "Twenty is the goal that we have, and Barry is the one responsible for making it happen. As with all goals he is given, he is like a bulldog with getting them done." That being said, TA is "not going to do anything stupid," Rebholz added. "We're not going to pay too much for a site. We're not going to enter a franchise agreement with a site that doesn't really convey the right brand standards just to hit that goal because we said it out loud to the world," he said. "But with what we can see right now, we think that is achievable." Westlake-based TravelCenters of America conducts business in 43 states and Canada, principally under the TA, Petro Stopping Centers and TA Express brands. Its standalone restaurants operate principally under the Quaker Steak & Lube brand name. The National Tank Truck Carriers’ board of directors has approved $47,500 in strategic donations over the next five years to six organizations: Trucking Moves America Forward, the Alliance for Toll-Free Interstates, the American Trucking Associations Litigation Center, the Virginia Trucking Association, the Oregon Trucking Association, and the Federal Excise Tax Repeal Coalition. NTTC committed funds to three nationwide efforts over multiple years: the Alliance for Toll-Free Interstates, which fights to protect existing interstates from new tolls, Trucking Moves America Forward, which promotes the trucking industry’s safety and community service works, and the American Trucking Associations Litigation Center, which pools trucking industry resources to advance the industry through the court system and intervenes in cases where the trucking industry’s interests are threatened. NTTC will also make a one-time contribution to Modernize the Truck Fleet, the National Auto Dealer Association’s Federal Excise Tax repeal coalition. NTTC will also support the Virginia Trucking Association’s effort fighting against tolls on Interstate 81--especially truck-only tolls--and the Oregon Trucking Association’s fight against state environmental laws that would undermine the US EPA’s role as a nationwide environmental regulator for actors who operate in interstate commerce, like truck drivers. Canada's Border Services Agency said Tuesday it found another 163 pounds of cocaine in a truck in which it seized about 18 pounds of the drug last month at the Ambassador Bridge in Windsor. Authorities said agents on Feb. 19 seized the suspected drug at the bridge from a commercial truck that was returning to Canada from the United States. The cocaine was divided into six bricks and found in the truck's sleeper cab, they said. After the discovery, the truck and driver were sent for a secondary examination of the tractor-trailer. Agents continued their search of the truck the next day with a drug-detection dog and found an additional 49 bricks of suspected cocaine, officials said. They also said the agents arrested the driver, a 44-year-old man from Waterloo, Ontario and turned him and the suspected cocaine over to police. INDIANAPOLIS, Ind. – UPS has long been known for its brown delivery vehicles, but the fleet is clearly focused on finding greener options when it comes to the underlying powertrains. The fleet has about 1,000 electric and hybrid-electric vehicles on the road today, part of a rolling laboratory that’s experimenting with an array of propulsion systems. But the vehicles are not perfect. Not yet. Rose calls electric trucks a “work in progress” even though maintenance costs are lower than those linked to internal combustion engines. As for an electric semi that could run 950 km between charges, he doesn’t expect that to come in the near future. “Range has certainly been an issue. We’ve had range anxiety,” Rose added, describing the early experience. The concerns don’t end there. The fleet is also looking for upgraded electrical infrastructure that will be able to drive conveyor belts and charge batteries alike. “Fleets need to know how much electricity is going to cost all the time,” he said, referring to demand-related pricing. For its part, UPS is participating in a consortium based in the United Kingdom that’s exploring smart grid technologies. Such changes are expected to help fleets charge a large number of vehicles at the same time, without requiring significant upgrades to facilities or electric grids. While UPS has reserved 125 Tesla Semis, Rose clearly sounded skeptical about promises that these trucks will enter production next year. “We hope,” he said when repeating the manufacturer’s promise, adding a chuckle both times the timeline was referenced. But he did give Tesla credit for generating broader interest in electric trucks. From a global perspective, the broader interest in electric vehicles is driven by a focus on reducing or even eliminating emissions in urban areas. About 68% of the world’s population will live in urban areas by 2050, Rose said, referring to the related challenges of pollution, crowding, and congestion. To compound matters, medium- and heavy-duty trucks account for 23% of the transportation-related greenhouse gases generated in the U.S.
“To remain liveable, cities must be safe for people to walk and breathe,” he said. With 340,000 pieces of equipment, the fleet clearly has a say in the form such vehicles will take. About 6% of all goods manufactured in the U.S., and 3% of the goods made in the world, will touch the UPS network at some point. But the fleet is not focused on electric powertrains alone. The rolling laboratory also includes about 6,000 natural gas vehicles that run about 1.6 million km per day. “We have everything – and we do that on purpose,” Rose said of the broader experiments in alternative fuels. GRANGEVILLE — The Idaho State Police continues to search for a dark blue unloaded logging truck that may have been involved in forcing a fuel truck off the road near Grangeville Tuesday, resulting in a hazardous fuel spill. The accident happened about 7:10 a.m. Tuesday on State Highway 13 at milepost 3 near Butcher Creek east of Grangeville. A 1981 Mack semitrailer hauling two gasoline tankers driven by Jon S. Jones, 72, of Missoula, Mont., was traveling southbound when he had to avoid a collision with the logging truck that was crowding the center of the highway, according to the state police. The fuel truck is owned by Tremper Distributing of Missoula. Jones drove off the right shoulder of the highway and into the ditch, where the semitrailer rolled onto its side. Jones was wearing a seat belt and was not injured, ISP reported. The trailers of the fuel truck held about 2,500 gallons of diesel fuel. A hazardous materials team, along with the Grangeville Fire Department and other agencies, was called to the scene. Some of the ground was contaminated with fuel, but Sangster said it is isolated to one spot and not expected to go anywhere. “Right now, it’s holding steady because it’s held in a depression,” he said. Responders from state and county emergency organizations were on hand to assess the damage, he said. The hazardous materials team is evaluating the scene, the ISP reported. The southbound lanes of the highway are still blocked while clean up and recovery are taking place. The dark blue unloaded logging truck did not stop at the scene, and ISP is asking for anyone with information as to who the owner and/or driver is to call (208) 799-5151. Colorado Gov. Jared Polis signed into law a bill that will open interstate trucking opportunities to people between the ages of 18 and 21 — as soon as federal law allows such activity. The legislation, which Polis signed Feb. 21, authorizes the state Department of Revenue to adopt rules that would allow 18-to-21-year-olds to participate in interstate commerce as long as they hold a commercial driver license and such hauling is permitted by federal law. Current federal law does not allow 18-to-21-year-olds to drive Class 8 trucks across state lines. Colorado’s new law does nothing to alter the state’s interstate trucking rules, which are governed by federal regulations. The law, which passed through the Legislature as Senate Bill 19-018, does not pertain to anyone between 18 and 21 who operates a truck on state highways solely for intrastate hauls. Sen. Ray Scott, one of the bill’s primary sponsors, said the legislation indicates the state’s willingness to examine interstate trucking age limits. He also said it could be an important step in reducing the industrywide driver shortage. American Trucking Associations estimates that the industry is short at least 50,000 drivers. Scott pointed out that many young people graduate from high school and abandon trucking aspirations to pursue another trade, such as a plumber or heating technician, because of the interstate trucking age rules. Scott identified young veterans as another demographic who can help redress the driver shortage. He noted that many young people in the military are trained to operate commercial vehicles, but can’t find work in the trucking industry when they leave the armed forces because of their age. “You’ve got a 19-year-old who comes out of the United States Army who’s been trained and qualified but tries to go work for a trucking company and he’s told ‘Sorry, we’d love to have you, but …’ ” Scott said. Greg Fulton, president of the Colorado Motor Carriers Association, said a lowered interstate driving age would especially help communities that border other states. For example, he said the law could enable young truckers in Durango to drive 30 miles south and engage in farming business in New Mexico. "In many ways, we're looking at it as being something to particularly help in those areas," Fulton said. "We're happy that there's been a level of support for the measure." At the 2019 Retention and Recruitment Conference on Feb. 21, ATA President Chris Spear called the current federal rule a “ridiculous, idiotic policy.” ATA has supported legislation that would allow 18-to-21-year-olds to drive interstate with the proper training. One such piece of legislation is the Developing Responsible Individuals for a Vibrant Economy, or DRIVE-Safe Act, which proposes a two-step program for prospective young drivers to complete once they obtain a commercial driver license. The legislation, introduced in March, would require these drivers to log 400 hours of on-duty time and 240 hours of driving time with an experienced driver in the cab after earning a CDL. Once completed, the young driver would be able to participate in interstate commerce. Although Scott acknowledged that Colorado’s interstate trucking laws won’t change unless federal law does, he encouraged other states to adopt similar legislation. He indicated a concerted effort at the state level will bring more attention to interstate trucking rules for young people. “Hopefully, this is an impetus to get other states to get on the bandwagon and get this done,” Scott said. A new report indicates that a Kansas City-based trucking company has plans to lay off over 400 employees who work at a Kentucky terminal in the next few weeks. On Thursday, February 21, Kansas City, Missouri-based auto transporter Jack Cooper Transport Co. Inc filed a WARN notice indicating that the company will lay off 425 Louisville, Kentucky employees by April 21, 2019. Legal documents indicate that all of the affected employees have already been notified of the planned layoffs and that the layoffs will be permanent. A large percentage of the soon-to-be laid off employees are yard workers and none of the laid off workers are truck drivers. The layoffs are coming because Jack Cooper Transport Co. Inc. plans to stop all yard management operations at their Louisville terminal permanently. The company says that it does intend to continue its auto hauler operations out of that terminal. A WARN notice (Worker Adjustment and Retraining Notification Act of 1988) is a 60 day notice period that is required by U.S. labor law when a company plans to lay off more than 100 workers. Jack Cooper Transport Co. Inc was founded in 1928 and currently operates 1700 trucks out of more than 50 terminals in the United States and Canada.